Davis-Standard’s extrusion coating and laminating expertise is second to none. With the industry’s most versatile equipment platforms, we deliver cost-effective extrusion coating packages to support construction, consumer products and packaging industries. 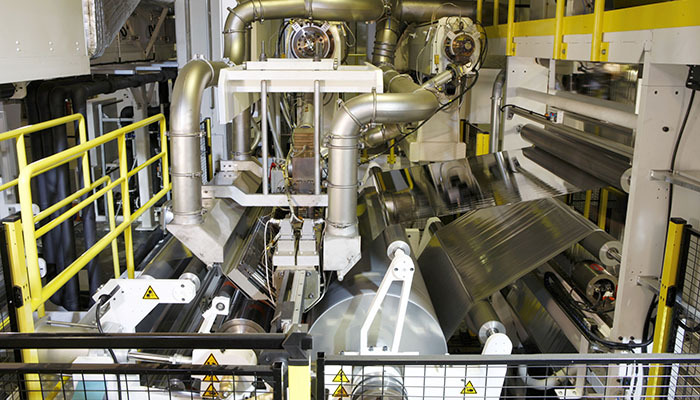 Our extrusion coating machinery fulfills even the most demanding flexible packaging, non-wovens, paper and board coating and laminating applications. This includes everything from laboratory-size systems for R&D to five-meter-wide systems for industrial materials. We’re innovators in automatic profile control (APC), deckle and die options, multi-coating solutions, web handling, transfer unwinds and winders. 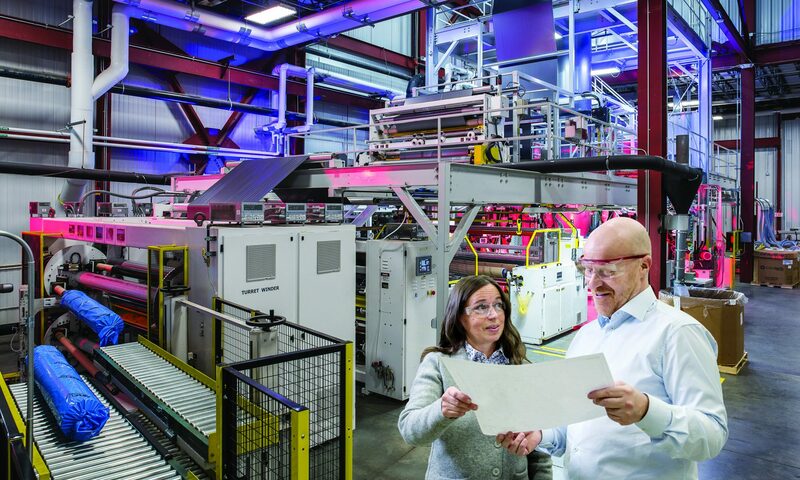 Quality, efficiency and value enable us to improve coating and laminating processes for customers worldwide. Our extrusion coating solutions for flexible packaging offer the best and most innovative technology available. We also engineer our systems to be cost-effective and efficient. Equipment advantages include shafted or shaftless unwinds and winders, material handling, single and double direction turrets with automatic splicing and transfer systems. We also offer the latest screw designs and control technology to support your process. Our liquid coating product line augments these capabilities by supplying the latest in priming and drying so that the highest levels of adhesion can be achieved. 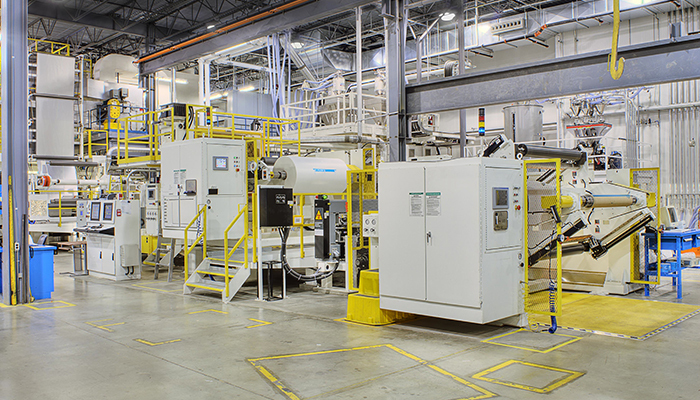 In addition, liquid coating and laminating equipment for adhesive or dry-bond lamination could be added to the extrusion coating and laminating line to further expand its capabilities. 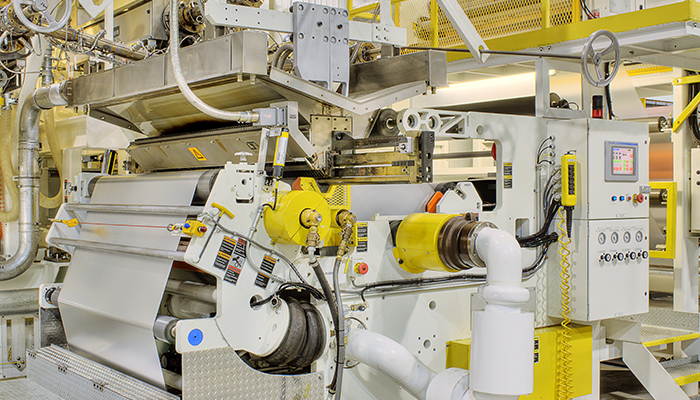 We have relationships with the major vendors of corona discharge equipment worldwide, giving us the ability to seamlessly integrate their treaters into our flexible packaging extrusion coating and laminating lines. Davis-Standard’s extrusion coating technology for paper coating and laminating is widely used throughout the industry. Our systems support the ability of our customers to produce quality products as efficiently as possible. Advantages of our technology include shaftless turret unwind and winder designs, superior screw designs and control technology. To augment these capabilities, our liquid coating group supplies the latest in adhesion enhancing priming, logo printing and web drying. We also have relationships with major global vendors of corona discharge equipment and flame treaters with the ability to seamlessly integrate their units into our extrusion coating and laminating lines. For high-speed lines, ozone can be introduced immediately into the lamination nip. Davis-Standard’s extrusion coating technology is the gold standard in the board coating business as proven by a long and successful track record of installations worldwide. Our unwind and winder sections are shaftless turret designs. Winders are supplied in the single drum horizontal rail style. 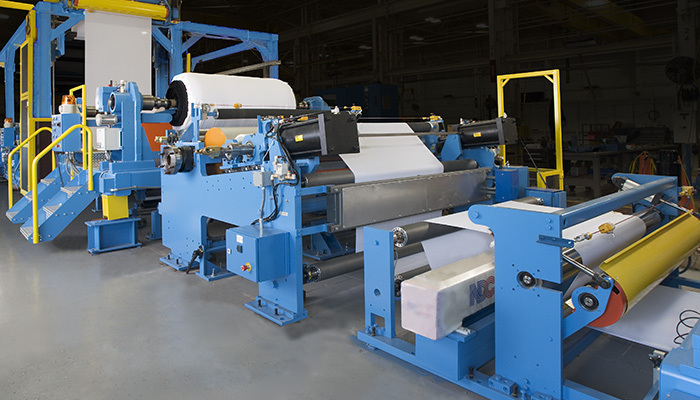 For loading and unloading large paper rolls, we can easily integrate existing material handling processes. We also offer superior control systems and feedscrew designs. To augment these capabilities, our liquid coating product line includes the latest in adhesion enhancing priming, logo printing and web drying. 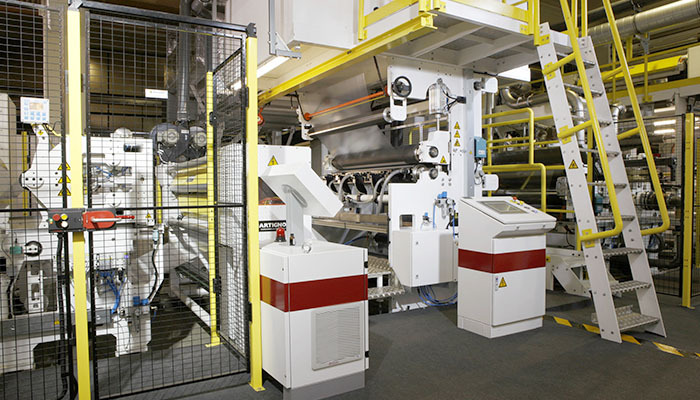 We have relationships with all of the major vendors of flame treaters, making it possible to seamlessly integrate their units into our board extrusion coating and laminating lines. For high-speed lines, ozone can be introduced immediately into the lamination nip. For applications where foil or film substrates are laminated to the board, high-speed foil unwinds are capable of splicing 5 to 9 micron (0.002-0.0035 inches) to maintain process speed. 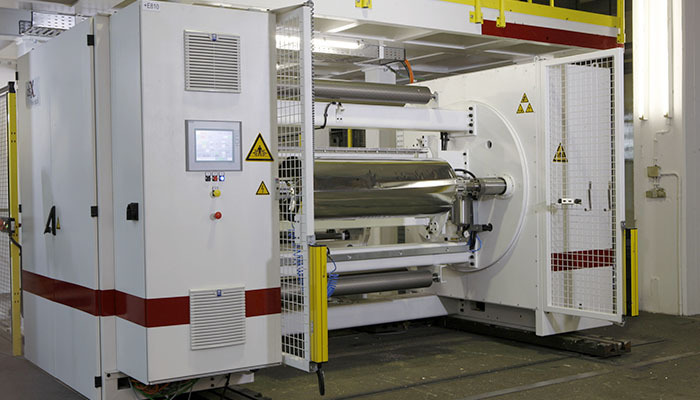 We supply specialty equipment designed to handle the required substrates using mono or coextrusion coating with unique pre-heating, winding and unwinding equipment. These components are application specific to meet process needs. Various slitting systems for edge and in-line slitting are also available.